Shoot! would like to wish Eric Djemba-Djemba many happy returns as the former Manchester United midfielder celebrates his 37th birthday today! The Cameroon international, who represented his country 34 times between 2002-2011, is still playing football having left the Premier League giants back in 2005. However, he is remembered as a Red Devils flop, rather than star, after featuring just 39 times for United, scoring one goal. But Djemba-Djemba did walk away with an FA Cup winners medal, and lifted an FA Community Shield under legendary manager Sir Alex Ferguson. 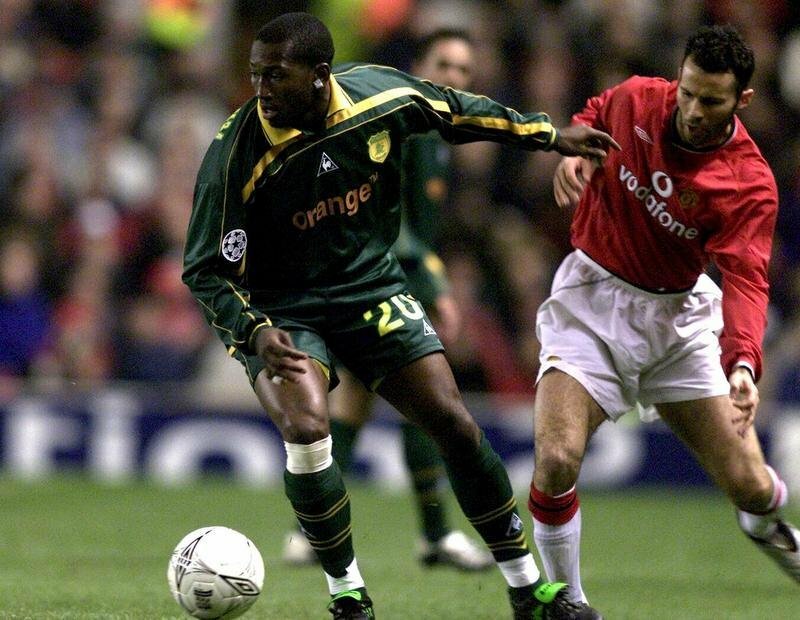 Djemba-Djemba in action for Nantes against Manchester United in February 2002. The central midfielder moved to Aston Villa in January 2005, but featured just 11 times for the Villans, before joining Burnley on loan, and then leaving English football for good in August 2007. So, after more than a decade on, and knowing the Cameroonian is still playing football, Shoot! asks where is Djemba-Djemba now? He rose to fame with Nantes in France following impressive performances for the Ligue 1 outfit, and impressed for his country at the 2002 FIFA World Cups finals in South Korea and Japan, as well as helping Cameroon defeat Senegal in a penalty shoot out during the 2002 African Cup of Nations final. 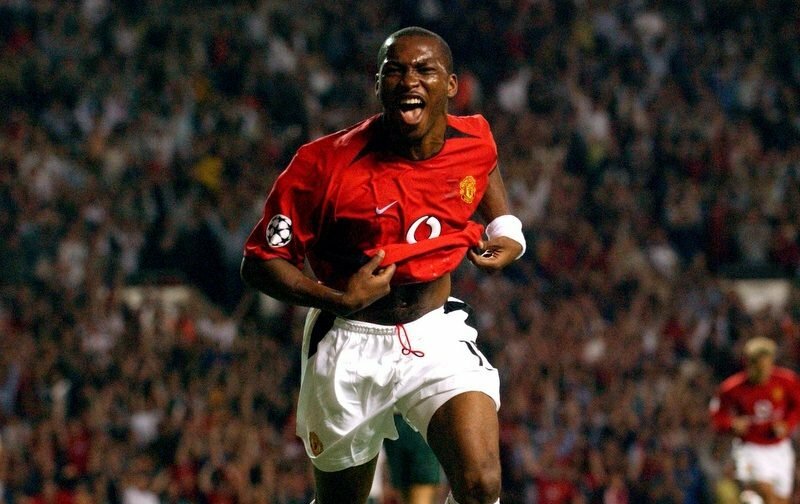 Djemba-Djemba’s brilliance earned him a lucrative £3.5m move to Manchester United in July 2003. But he lasted just 18 months at The Theatre of Dreams, as the midfielder failed to establish himself as a first-team player. Though he did score twice for The Red Devils, one against Panathinaikos in the UEFA Champions League, and a 117th minute winner against Leeds United in the League Cup. 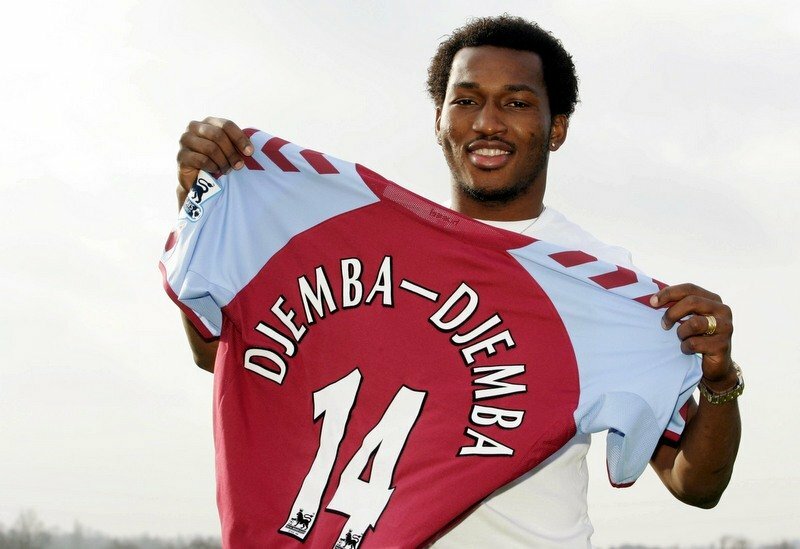 After just 39 outings, Djemba-Djemba was offloaded to Aston Villa in January 2005 for £1.5m, where he played six times in the Premier League before the end of the season. The following 2005-06 campaign saw the former Nantes star make just four outings for Villa, all substitute appearances, as he managed just 108 minutes of football. 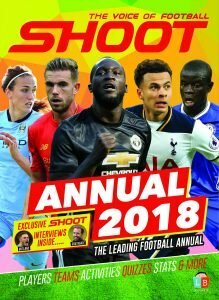 And, it only got worse for the Cameroonian, as after playing a few minutes against Arsenal at their brand new Emirates Stadium on the opening day of the 2006-07 season, Villans boss Martin O’Neill shipped Djemba-Djemba out on loan to Championship side Burnley for the rest of the season come January. He made 15 appearances for the Clarets, who finished 15th in the second-tier of English football. Upon his return to Villa Park in the summer, his contract was terminated. 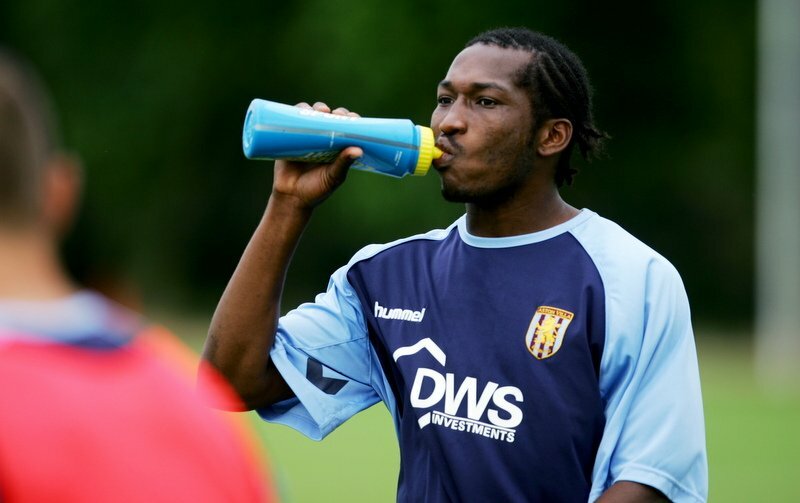 From English football, free agent Djemba-Djemba joined Qatar SC, where he seemingly got his career back on track, scoring three goals in 26 league games. After one year in Doha, the ex-United man put pen to paper on a three-year contract with Danish side Odense Boldklub in July 2008, where he made his debut against former club Villa in the Intertoto Cup. Djemba-Djemba scored four goals in 129 games in Denmark, and was regarded as one of the best players in the Superligaen during his opening years. Amazingly, in 2009, when playing against Esbjerg, the midfielder comically assisted a goal with his sock, after the sole of his right boot wore away, and he was forced to finish the match with just one boot! Following his revival in Denmark, Djemba-Djemba was linked with a return to the Premier League with newly promoted West Bromwich Albion, but transfer negotiations broke down, and the Cameroon remained at OB until the summer of 2012. He travelled to Israel to sign for Hapoel Tel Aviv in August 2012, securing a two-year deal, where he made 34 appearances in all competitions. But, after just one season, he made the switch to Serbian football, agreeing a two-year contract with Partizan Belgrade in July 2013. Sadly, he lasted less than five months, after his deal was terminated after 16 outings. 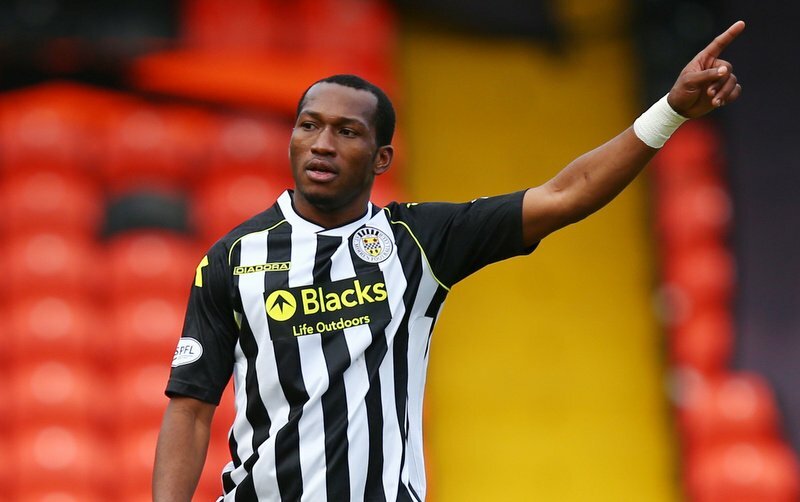 From Serbia to Scotland, Djemba-Djemba signed for St Mirren in February 2014 on a deal until the end of the season. Djemba Djemba in action for St Mirren. Djemba-Djemba was hoping to star for The Buddies in order to break into Cameroon’s 2014 World Cup squad, which he eventually missed out on. Despite being described as the club’s best signing by then manager Danny Lennon, the midfielder played just three games for the Scottish Premiership club, before being released in the summer. D’oh! Next up, India. Djemba-Djemba agreed a short-term deal with Super League outfit Chennaiyin FC in October 2014, making nine appearances, before then joining Persebaya Surabaya, Indonesia, in March 2015, playing six times. 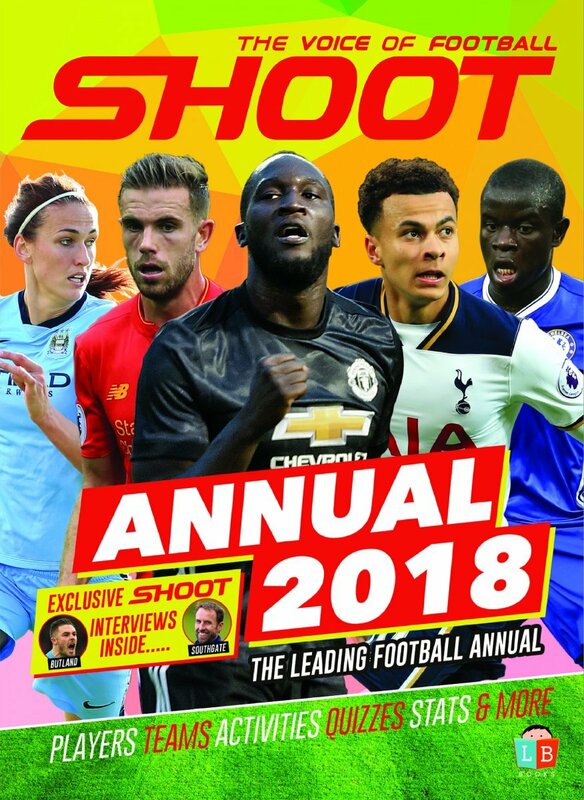 Since then, the Manchester United flop has played for Chateaubriant in the lower leagues of French football, before moving onto FC Vallorbe-Ballaigues in the fifth-tier of Swiss football. This term, Djemba-Djemba has scored two goals in 11 games for his current club, and has captained his side on numerous occasions. Although the Cameroonian is still playing, unfortunately for him, in British football at least, Djemba-Djemba will be most fondly remembered as one of the biggest transfer flops in history. 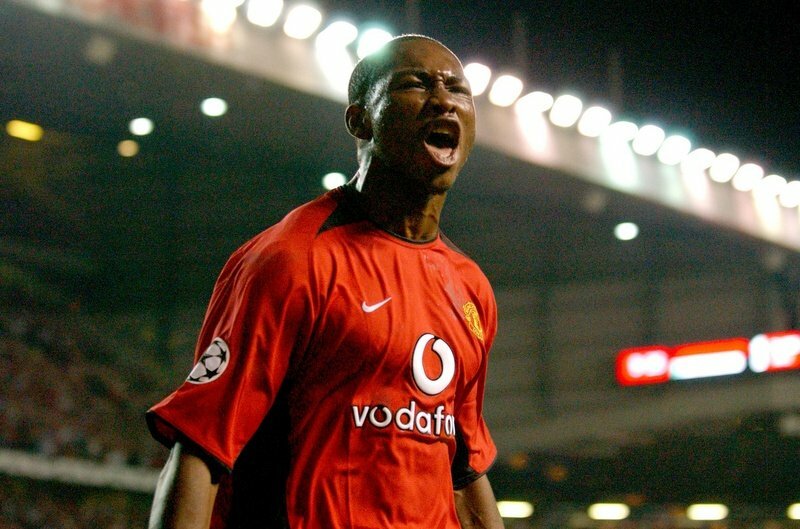 The curious career of Eric Djemba-Djemba, so good they named him twice… Anyway, Happy Birthday!